This vegan hemp oil spray/tincture is made from non-GMO hemp grown without pesticides, herbicides, or chemical fertilizers. 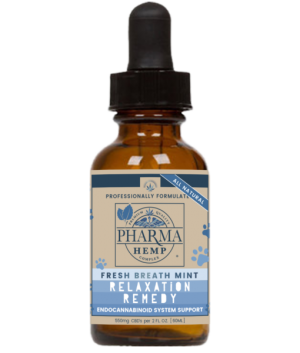 This Relaxation Remedy has been carefully formulated to meet your needs as furry friend caretaker. 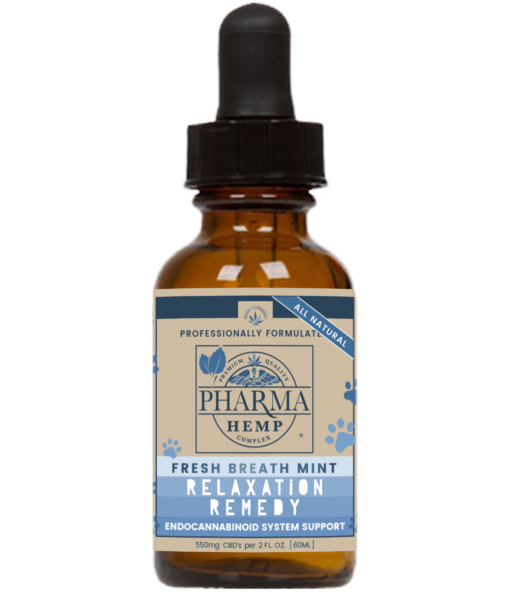 Our all natural formula contains hemp CBD complex, hemp seed oil, terpenes, and coconut oil. Hemp oil is high in essential fatty acids, offering the perfect ratio of omega-3 and omega-6. These ingredients come together for synergistic, long-lasting beneficial effects. Each 2oz bottle contains 550mg total cannabinoids. This 1oz bottle contains 120mg total cannabinoids (CBD, CBDA, CBN, CBG, and terpenes), and is recommended for small (under 15lbs) or sensitive pets.